Leading Shirt Manufacturer When it comes to shirt manufacturing quality plays very important role and we at Tzerr are taking extreme care of all the designs manufactured at our units. We make sure of color shrinkage and fitting and that why we have our own team of experience designers who takes care of every shirts manufacturered . 100% cotton shirts. Unmatched designs and styling. Best quality fabric used. Stitched with expertise and latest technology. Washed with best care and now ready to wear. Shirt Manufacturers Our shirts are made of 100 percent cotton fabrics and processed with extreme care like shrinkage test, automated cutting for perfect fit, international stichting standard. Our designs are hugely appreciated by our customers all over india and also internationally . 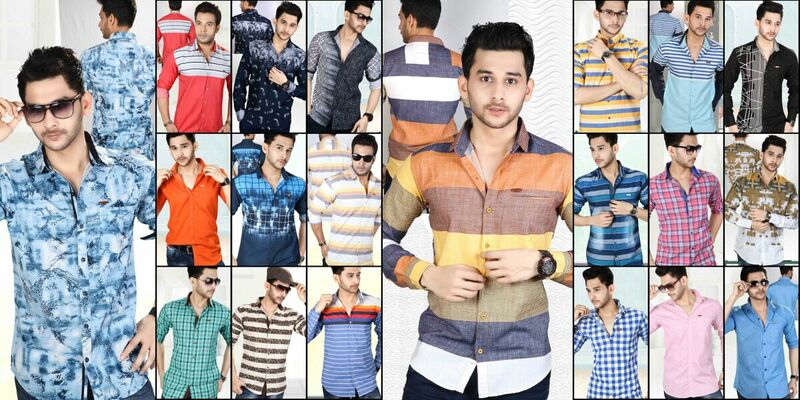 We are engaged in manufacturing all kind of shirts and also takes order based orders. Printed Shirt Manufacturer Printed shirts are more in demand among customers so we are coming with latest unique designs of printed shirts which will surely add charm to your personality. This shirts are manufactured with intense care with 7 level of quality checks. Would you like to check our latest collection so just call us for further details and booking orders.